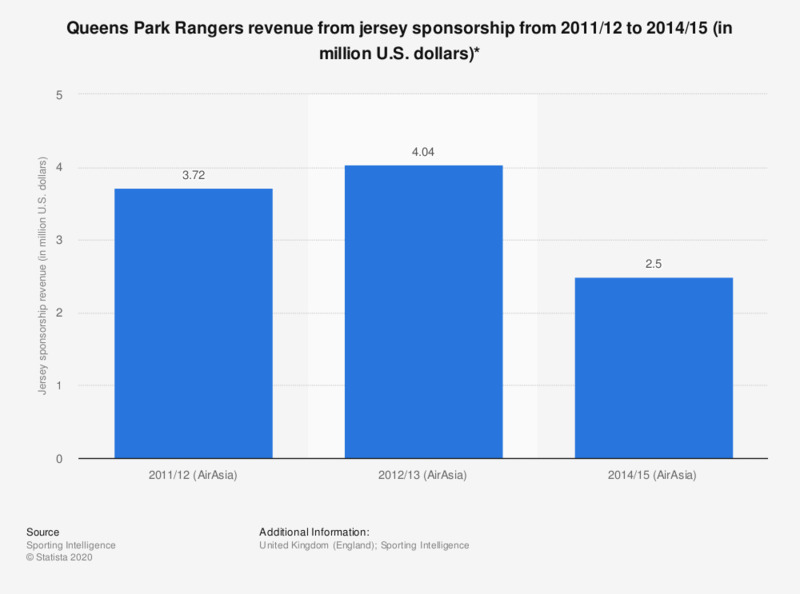 The statistic shows the revenue Queens Park Rangers generated from its jersey sponsorship deal from the 2011/12 season to the 2014/15 season. In the 2012/13 season Queens Park Rangers received around 4.04 million U.S. dollars from its jersey sponsor AirAsia. * Values were converted from Great British Pounds to U.S. dollars using the exchange rate from December 31, 2012. Data from the 2013/14 season was unavailable as Queens Park Rangers were absent from the Premier League after their relegation to the Championship in the 2012/13 season. Have you ever felt threatened or experienced violence in a stadium?